Forestry experts from across the country on Wednesday took stock of the benefits and harms of the plantation of eucalyptus, especially in the wake of billion tree afforestation drive in the province. They were speaking at the inaugural day of a two-day national seminar. The seminar on “Pros and Cons of Eucalyptus Plantation in Pakistan” was organised by Pakistan Forest Institute (PFI). Forest, environment and agriculture scientists, representatives from wood industry and civil society from all over the country are participating in the seminar. Special Secretary Forest, Environment and Wildlife, Zariful Maani, was the chief guest on the day one of the event. PFI Director General Hakeem Shah was also present on the occasion. Around 15 experts delivered presentations on the issue and discussed every aspect of the subject matter. Zariful Maani said that the billion tree afforestation drive in Khyber Pakhtunkhwa proved a massive success as nearly 1.2 billion trees were grown in the province during the past few years. He said the success of the tree plantation drive had gained applause at national and international level. 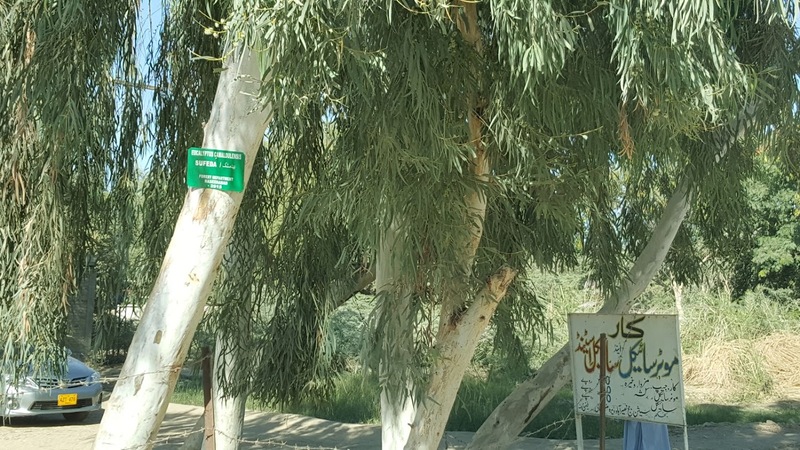 Every kind of trees was planted and conserved during the drive, he said, adding, a good number of eucalyptuses were also grown in various parts of the province, which drew some comments, especially in media. Therefore, the department decided to hold a comprehensive research-based event to discuss the benefits and harms of eucalyptus wherein proper recommendations could be worked out, he said. The recommendations, which would be given after the completion of all the presentations today (Thursday), would be fully implemented in the 10 billion tree afforestation drive across the country under ‘Green Pakistan’ project, he added. He said that both field researchers and academic experts have been invited to the event so that the scientific and technical aspects of eucalyptus plantation could be discussed and the negative perception about it could be overcome. Hakim Shah said due to its fast growth and good marketing, eucalyptus has become very popular specie among the farmers and its demand both on farm and market has increased manifold. However, certain misperceptions have also been attached to it. In view of those misperceptions and its huge plantation across the country, the PFI organised the seminar to know the actual facts by scientifically analysing the issue and provide specific recommendations to the government as well as farmers. Some of the speakers rejected the misperceptions attached with eucalyptus plantation. They said eucalyptus was Australian specie, which has been introduced to the five other continents. It has the capability of growing very fast and it is the tallest flowering tree, they said, adding that in Australia, there are 700 species of eucalyptus, while only five of its kinds are found in Pakistan. The speakers said that eucalyptus was good for plantation on water-logged and saline lands and it was adjustable to wastelands. “Eucalyptus provides feed, thermal cover, perching, roosting and shelter to birds and animals,” said Mohammad Ali, extension specialist, PFI. Mohammad Ali Bajwa said it was not true that eucalyptus consumes much more water than other plants. He said it was not the lone reason for lowering water table. Other species of trees and agricultural products consume more water than eucalyptus, but the main reason behind water depletion was the increasing number of tube-wells and water pumps, he added. Other speakers said that the benefits of eucalyptus plantations were much more than its harms. They said that no specie was harmful. However, proper management should be ensured during plantations and special attention should be focused on the site suitability for different species, which is the essence of forestry. Dr Ghulam Akbar was the resource person on the occasion. Dr Gul Daraz Khan, Chairman, Water Management Department at the Agriculture University Peshawar, Dr Ghulam Ali Bajwa, Director Sericulture, PFI, Dr KM Suleman from the wood industry, Dr Azhar Ali Khan, Chief Conservator Forest, Malakand, Safdar Ali Shah, Chief Conservator, Wildlife, Khyber Pakhtunkhwa, Tehmasip Khan, Project Director, Billion Tree Afforestation, Malik Segheer, Conservator Forest, Watershed Circle, Ali Gohar Khan, Director Forest Research, Ghulam Mustafa Nasir, Forest Products Division, Tanveer Ahmad Qureshi, Biological Research Division, Dr Iqtidar Hussain, assistant professor Gomal University, Dera Ismail Khan, Anwar Ali, forest mensuration officer, and others presented their papers on the occasion. ← List of the Official Annual International Days related to Forestry, Environment, Wildlife.